Caesar is a 12-year-old brown and white male, broken coat “shorty” Jack Russell, weighing in at a sturdy and very fit 16 pounds. Caesar came to us when the family’s youngest child developed allergies to the dog and they had to part with him. 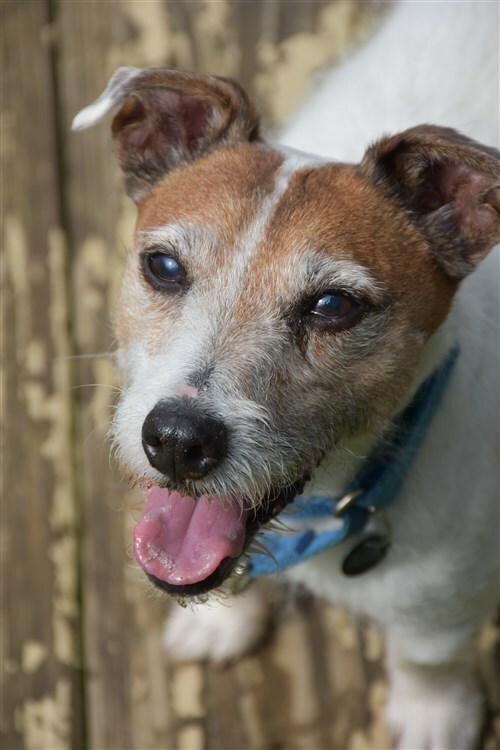 A most delightfully energetic and enthusiastic little dog, Caesar is an amazing snuggler, loves to be with his humans, and very affectionate. Extremely well housetrained, he is a calm but very active dog, and enjoys going on strolls with his people. He is crate trained, and rides beautifully in the car. As typical with any senior jack, he does not show his age, had a perfect health exam and a dental to make his teeth pearly white once again. This JRT loves to be busy and doesn’t mind spending time around stonewalls looking for critters. He is wonderful with people, and is fine around other dogs, but we think it best that he be an only dog as he can be a little bossy and dominant. A beautiful little boy that knows some commands, wants to please and is always observant of his human’s actions. 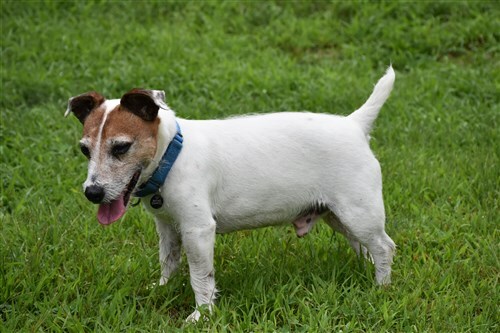 Caesar is looking forward to still spending quite a few years with his new adoptive family. He will definitely not disappoint.